So Cal Crawl Space Solutions is a full service General Contracting Construction company. We can help you with a simple repair job to a complete home remodel. So Cal Crawl Space Solutions has the ability to manage your home remodeling project from the initial planning and design phases to the completed result. So if you are planning to repair or remodel your bathroom, add a room, get a new roof or simply paint the exterior or interior of your home we can help. Call or contact us for a free general contractors and construction quote today! We serve areas nearby Camarillo, Goleta, Moorpark, Port Hueneme, Santa Barbara and Santa Paula. We pride ourselves on our many satisfied customers and look forward to the opportunity to show you what we can do. 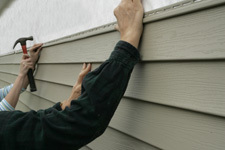 We are fully bonded and insured and have helped hundreds of homeowners improve the beauty as well as the value of their home or business through our services. No matter what you need for your home repair or remodeling project, we have the products and services you need. If you'd like a Free Estimate and written quote from our general contractors, call or e-mail us today! We serve California, including areas near Camarillo, Goleta, Moorpark, Port Hueneme, Santa Barbara, and Santa Paula.